The new third generation iPad was successfully jailbroken just hours after hitting the streets early yesterday morning. Musclenerd has uploaded several pictures to Twitter that show the new iPad running Cydia an a terminal application. Neither can run without a jailbreak. Meanwhile, iOS hacker i0n1c says he has an untethered jailbreak up and running. That means the Apple device can be rebooted without connecting to a computer beforehand. Two other hackers have reportedly developed a separate method for jailbreaking the new slate. This means that multiple hackers have already found security holes within the firmware of the new iPad. 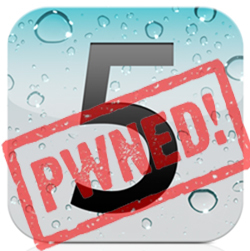 It generally takes hackers weeks, even months to develop an updated jailbreak for newly released Apple products. Musclenerd says this is just a first step and that the required tools will be made available to the public in the near future.